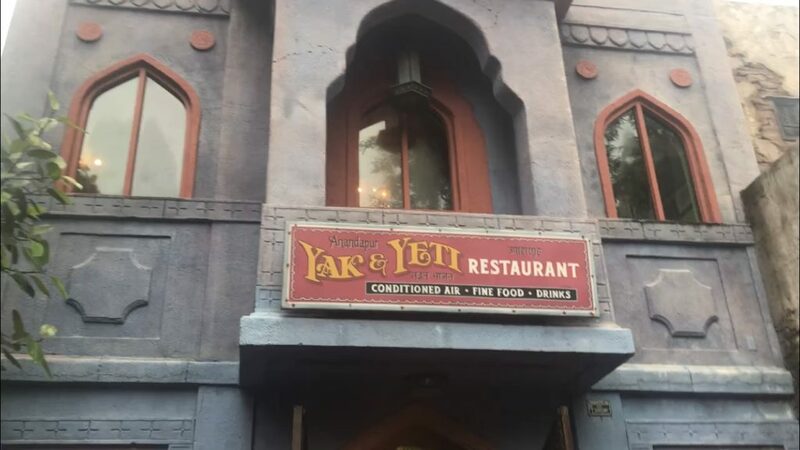 Our Yak & Yeti Review, with an accompanying video, explores why it changed from a never-do to a must-do dining location. I never liked Yak & Yeti when I first visited it. Why I didn’t, I can’t quite recollect. I think there was something I didn’t like about the service & the food wasn’t quite to my tastes. Tastes have a tendency to change though. Every-time when we planned our Disney Dining Plan reservations Yak & Yeti was quickly dismissed. However, the memory became hazy on why we disliked it. Things changed in 2017 when we decided cautiously to give it another go. How wrong we had been! It is now on our must-do list and was visited again in 2018. Yak & Yeti is a superb restaurant with some of the most interesting food at Walt Disney World. In addition, the restaurant has some of the very best theming you will find at Walt Disney World. 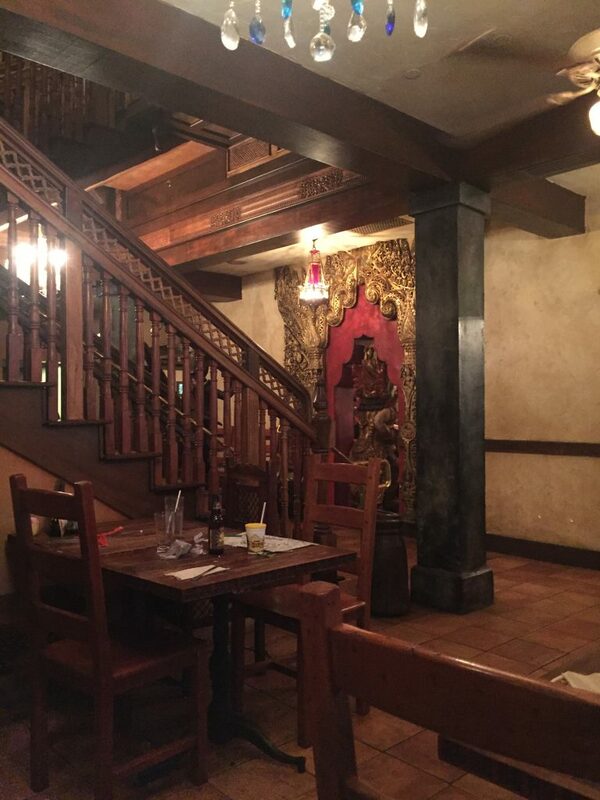 The restaurant is located in Asia at the Animal Kingdom close to Expedition Everest. In addition to the table service restaurant, there is also a quick service location. The restaurant is operated by the same company responsible for Rainforest Cafe and T-Rex. Whilst at these locations large quantities of good food are offered, at Yak & Yeti food is slightly more sophisticated. Rainforest classics such as ribs will not be found here although a burger is usually on the menu. Yak & Yeti serves food from across Asia which has been developed to satisfy Western tastes. 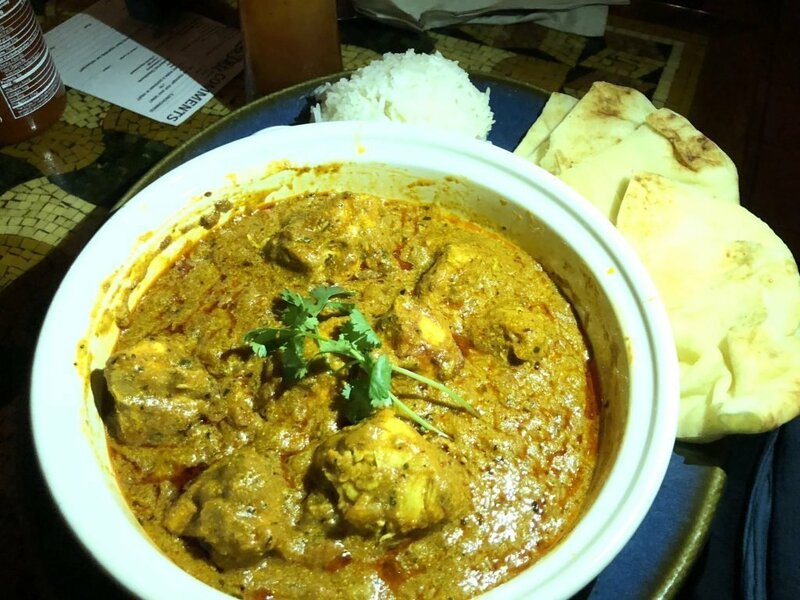 Food choices include Lo Mein Shrimp, Chicken Tikka Masala, Korean Beef & Bhaktapur Duck. 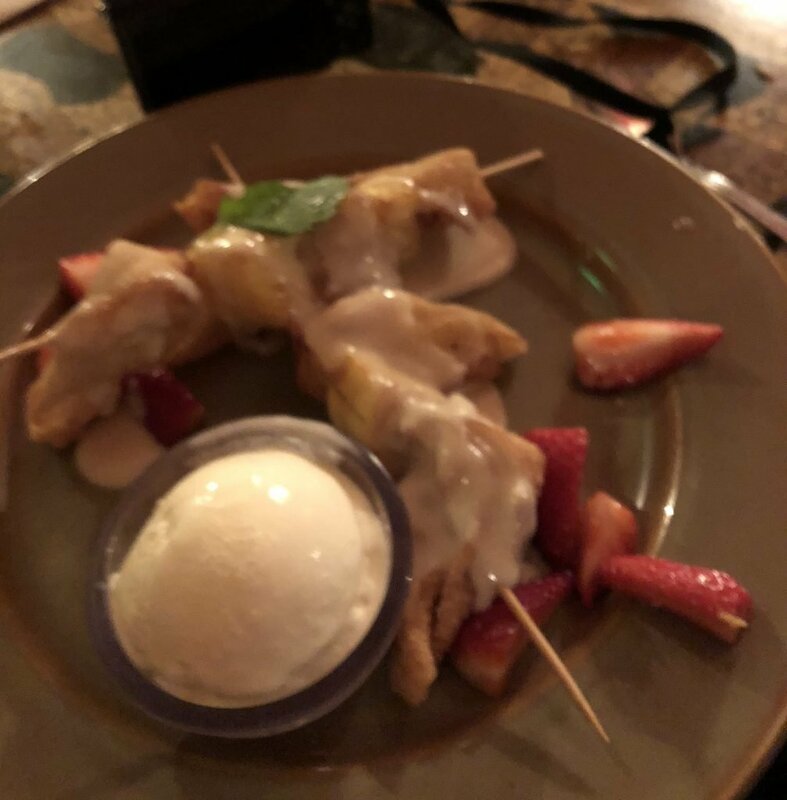 The highlight of the dessert menu is the Fried Wontons which includes skewers of fresh pineapple and cream cheese wontons, vanilla ice cream & honey-vanilla drizzle. 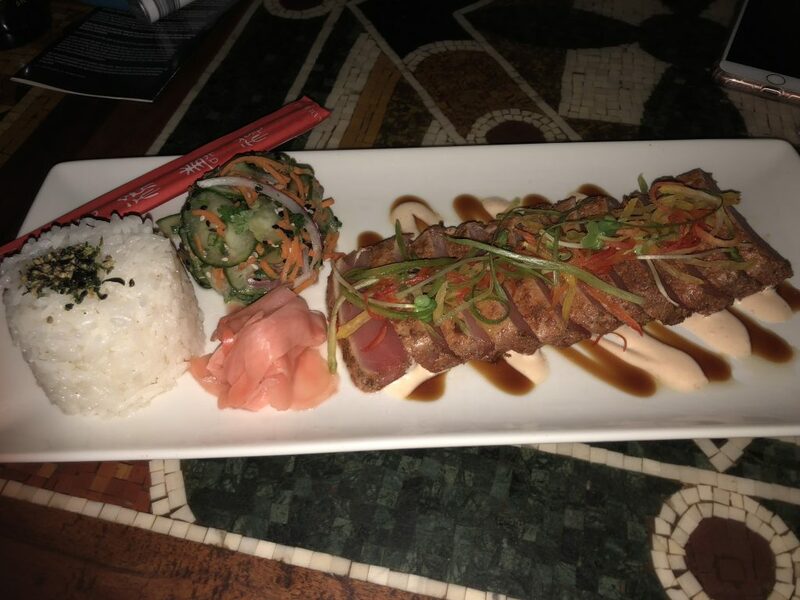 Click on the link for a sample menu from the Yak & Yeti. 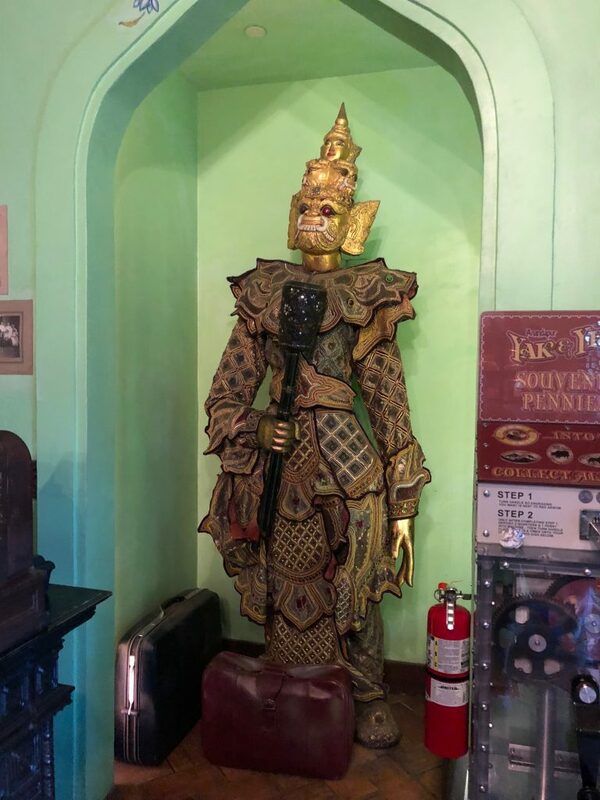 The restaurant is decorated with the “proprietor’s collection” of Southeast Asian artefacts. There is plenty to see and it is worth spending some time having a look around the restaurant. The Disney Dining Plan is accepted and costs 1 Table Service Credit. Allergies are catered for and there is a kid’s menu. Visit our guide to learn more about Dining with Allergies at Walt Disney World. Reservations are recommended and you can book before you visit through the Advanced Dining Reservations system. As this restaurant is inside the Animal Kingdom you must have a valid park ticket to dine. 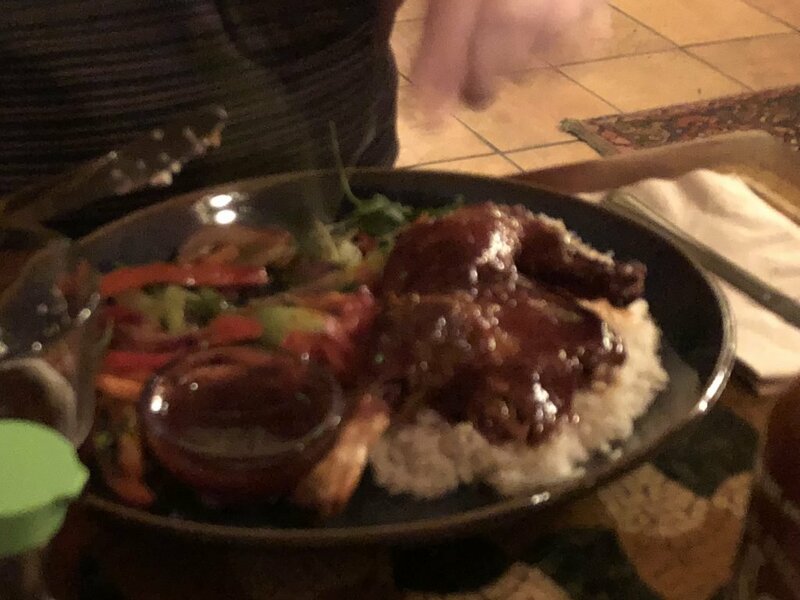 Our video was shot in 2018 and contains highlights from the Yak & Yeti including some of the food we were served. If you fancy something different during your Disney Vacation then visit Yak & Yeti. 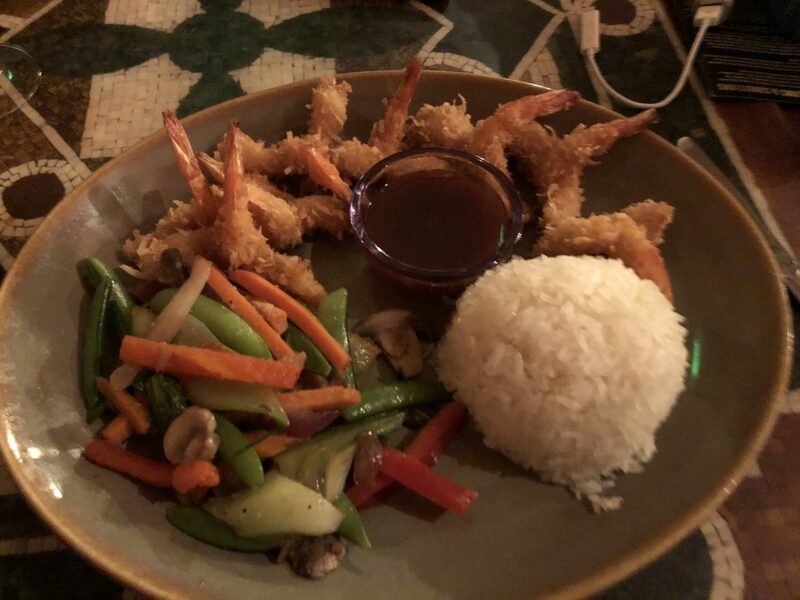 Whilst liking a bit of spice with your food is a prerequisite the menu is varied and has some interesting selections you will not find elsewhere. We have missed out dismissing Yak & Yeti for the last 10 years but we recommend you don’t! 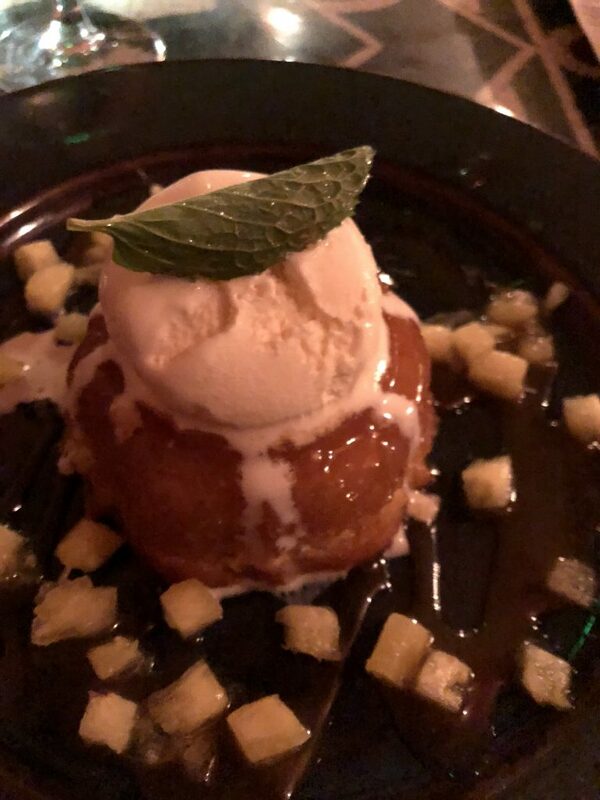 We ate there 3 weeks ago and it was one of the highlights of our trip! We shared some appies- Dim Sum, Ahi tuna nachos (incredible! ), garlic noodles, wonton soup and mango pie for dessert! 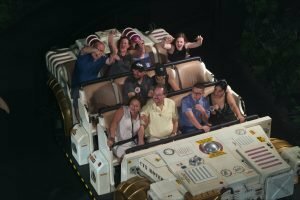 The service was great and the meal was the best we ate at WDW by far. Highly recommend!